ORLANDO, Florida -- The price of SeaWorld stock jumped over 17% in morning trading following its initial public offering of 26,000,000 shares of common stock priced at $27.00 per share on the New York Stock Exchange today. As of 11 a.m., the stock price has passed $31 per share and is edging closer to $32 per share. The stock symbol for SeaWorld is SEAS on the NYSE. 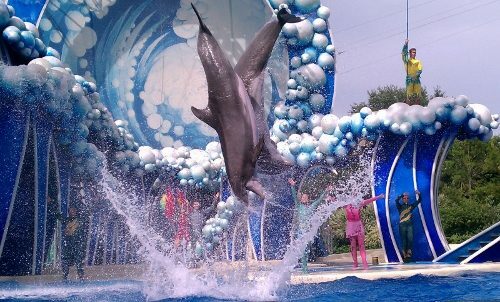 SeaWorld Entertainment says it intends to use approximately $47 million of the net proceeds from the offering to make a one-time payment to an affiliate of The Blackstone Group, L.P., in connection with the termination of a management advisory agreement. Downtown Disney To Become "Disney Springs"